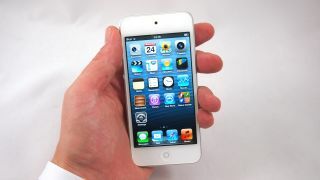 Raise a glass to the mighty iPod touch, everyone, as it has reached the prodding paws of 100m users. The company confirmed the sales landmark to the Loopinsight website on the day it outed a cheaper version of the device without an iSight camera and just 16GB of storage. The popular media player and gaming device first arrived in 2007 and has become one Apple's most popular products, despite iPod sales going down the pan in the last couple of years. With that in mind, the iPhone-without-the-phone is unlikely to see 200m sales in its lifetime, but still 100m is some achievement. You can't beat a bit of blippage, so use mind-power (or even a mouse or trackpad, it's your call) to check out some more concise and often-entertaining news.